Home / Think About It Thursday! / Think About it Thursday: Best of the B.E.S.T.17 Part 2! Every Thursday Rymax Marketing Services Inc. strives to help educate current and potential business partners about the inner workings of our industry. Whether the program you’re offering is for customer loyalty, employee recognition, player rewards or corporate gifting, we’re tapping into the expertise of some of our senior staff and brand partners to provide you with valuable insider information that can help you build a successful and impactful marketing program. This week we bring you the second installment of a two part series featuring the highlights of our February B.E.S.T.17 event! B.E.S.T. sessions were created so that we can gain insight into our key brand partners and integrate their most successful products into Rymax’s product portfolio. This allows us to keep our finger on the pulse of the latest trends and innovations and ensure that we are offering the very best of what the consumer goods industry has to offer. The first brand that presented on day two of B.E.S.T.17 is EyeKing. In 1955, in a small garage in Brooklyn, NY a big idea was born – a sunglasses company that sees things differently. Zolkind & Sons created sunglasses for powerful brands like Jordache and Jaguar. This pioneering business quickly became well-known throughout the industry and laid the foundation for Eyeking today. In 2005 after entrepreneur Kevin Plank’s Under Armour brand exploded onto the scene, Eyeking was awarded the Under Armour Eyewear contract which it still maintains today. From aesthetic aviators to functional fishing sunglasses, Eyeking pulled out all the stops for their first B.E.S.T. event. However, topping all of the various styles and genres they exhibited was their sports performance technology. Eyeking’s Game Day Lens is specially designed to help athletes pick up on the ball while diminishing glare and background colors from the sky or grass. These sport specific glasses can be seen on the faces of professional athletes of all sports and are just one category of eyewear that Eyeking excels in. Garmin is dedicated to making products that are engineered on the inside for life on the outside. They do this so their customers can make the most of the time they spend pursuing their passions. With more than 11,500 associates in 60 offices around the world, Garmin brings GPS navigation and wearable technology to the automotive, aviation, marine, outdoor and fitness markets. They believe every day is an opportunity to innovate, and a chance to beat yesterday. Garmin, fueled by their goal to beat yesterday, has jumped into the active wear industry and leaped over the competition. With numerous lines for various target demographics, Garmin provides the Vivo line, for the everyday user, the fēnix line, for the more serious back country hiking user, and the forerunner line, for the triathlete in training. Garmin also showcased their various GPS systems for the car, for cycling and for golf. When it comes to advanced active wear and GPS, go Garmin or go home. Embracing the knowledge of its forefathers and with a keen eye to evolving with the future of fine jewelry, LALI Jewels creates timeless luxury at affordable prices while specializing in one-of-a-kind and limited edition creations. LALI jewels founders Arun and Adam, have been key players in the jewelry industry for the past three decades. From apprenticing at early ages at some of the most prestigious international diamond houses to earning executive positions at one of the premier manufacturers and wholesalers of fine jewelry in America, they had but one task left unfulfilled; to set out on their own… to evolve. Only two and a half years old, LALI is a brand new company that is already leaving its mark in the jewelry industry. With their Lali Classic collection on display, it is easy to see the level of expertise and quality in their gems. Whether it is their most popular Pearl collection or the trending and breathtaking turquoise line, LALI is a brand to believe in moving forward. Montblanc’s tale began with the creation of the Meisterstück fountain pen in 1924. Perfectly handmade with the finest of European craftsmanship, the iconic writing instrument has secured cult status – and their affair with writing instruments did not stop there. It has grown to include a variety of magnificent collections, including the bejeweled Bohème and sleek, contemporary Starwalker, among venerated others. While Montblanc’s precious writing instruments record the moments of your life, its equally exquisite watches aid you in keeping track of them. At B.E.S.T.17, Mont Blancasked Rymax employees “are you a ballpoint or a rollerball?” We all learned the difference between the two and quickly and gleefully determined our individual preferences. It is a testament to their craftsmanship that every person could feel the difference between the two and had a clear preference. This quality of product was reinforced upon examination of their time pieces, which are just as functional and fashionable as their writing instruments. Polaroid has been a trusted global brand for more than 75 years and is best known for pioneering instant photography. They embrace the nostalgia inherent in their past, allowing them to embrace old technologies through new technologies and beyond. Today they celebrate their heritage and bring it forward through their products, services and brand promise. They are committed to delivering instant gratification that connects the world through sharing. In fact, they consider themselves to be the original social sharing brand. Staying true to their brand’s past and goals, Polaroid displayed several of their most fun and innovative products designed to achieve instant gratification. From the zip printer, allowing you to instantly print pictures taken on your phone, to the various modernized versions of the more traditional Polaroid cameras that have been around for decades, Polaroid continues to deliver premium products for their happy-go-lucky consumers. In 2002, Sonos set out with a goal – to reinvent home audio for the digital age. The vision was simple – fill every home with music and make listening a valued experience again. Sonos is making it easy for everybody to listen to the music they love in every room of their home. To hear the songs they love, to discover new music they never knew existed, and to appreciate it all with the highest sound quality. You know you have a good product when the brand representative barely feels the need to speak about the product and lets it speak for itself. From portable speakers to surround sound accessories, like various sub woofers and amplifiers, all were tested in front of us so that we could see, and more importantly hear, the impressive sound clarity. Immersive is an understatement for the quality of sound Sonos is able to achieve in their products. The most prestigious department stores, specialty retail stores, and distribution partners in the world consider TOL their “count-on vendor for new innovation” and it is not because they look and perform like all the others. They look to TOL’s innovative and creative team because for over 15 years they have been creating new streams of revenue by providing unique branded products and supporting them with consistent marketing campaigns to bring the products alive off the shelf. 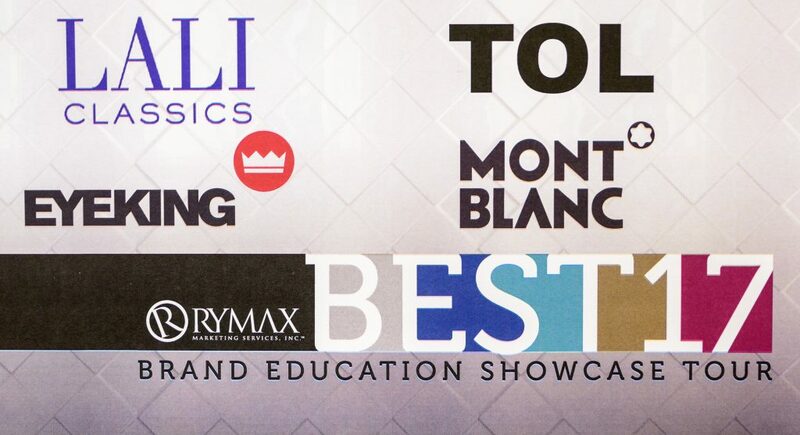 TOL is a broad line distributor capable of bringing you premium products from dozens of different brand partners. At B.E.S.T.17 TOL showcased some of their best selling and most innovative products from brand partner José Eber. Vibrating flat irons, multifunctional brushes that both straighten and moisturize, and innovative curling irons were all tried and experimented with by our staff. The results left almost every woman in the office wanting to take one home. TOL and José Eber are truly revolutionizing the beauty care industry with these hair-raising products. Starting in 1918 as a small business retreading tires followed by 99 years of distribution experience that spans the days of the first color TV, the first home PC and the first gaming system, D&H is rooted in the tradition of taking a hands-on role in helping our customers and manufacturer partners achieve their goals. Every customer, regardless of size, is given their own dedicated account representative who functions as your personal, knowledgeable industry consultant, working more like a partner participating in your ongoing strategy than like a salesperson. Rymax’s relationship with D&H is so important because it provides us with another channel to access products we would not otherwise be able to provide through our programs. Anything from bakeware and cookware to the latest technology, D&H combines excellent customer support with quality products. This brings us to the end of the series focusing on the best of our February B.E.S.T.17 event! Return next week to discover another Think About it Thursday topic to garner more insight into our industry. For any further information about any of the brands or products you read about here please contact Rymax today!